Our picks of locally curated chic from the just-launched online shop. I think the mark of a good online shop is the ease in which you can visualize it as a brick and mortar. 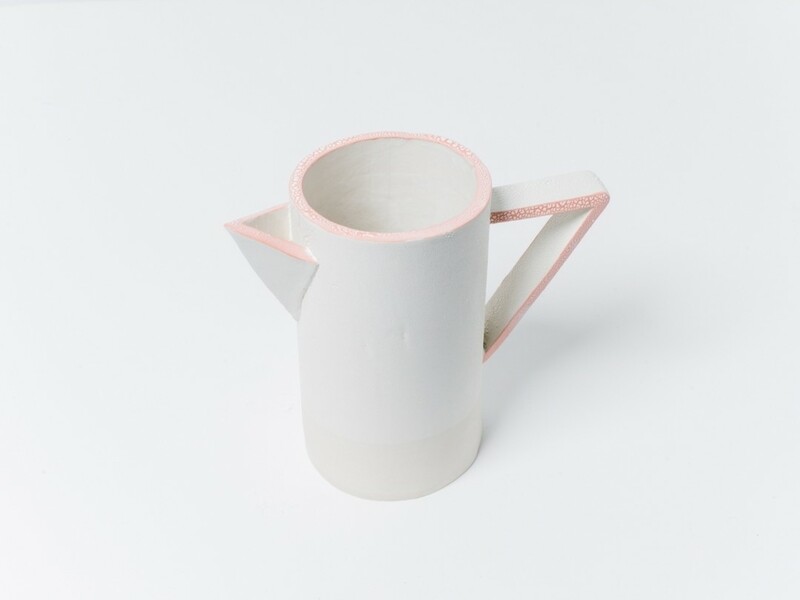 The Nest | Gather store from local maker Sanam Miremadi and stylist/collector/buyer Michelle Andrews is just that: all minimalist and curated chic with a discerning selection of home objects, clothing, and accessories that fall into that "airy and effortless" category. For this month's Met Set, our Shop Talk team was challenged with picking their one favorite item from the just-launched shop. See what we came up with below. I once read that a person should drink half their body weight in ounces of water each day. But I'm an over-achiever so I try to match myself ounce-for-pound. Now, I may not be an extra-large person, but that's a lot of H20. It's necessary, then, to have a nice-looking vessel for such hydration, and geez this stoneware pitcher fits the bill. I should probably get a mug or two to go with, huh? You know how they say you can have a cat or plants, but not both? Well, no more. I can finally outfit my apartment in succulents without fear of my cat gnawing them to death. 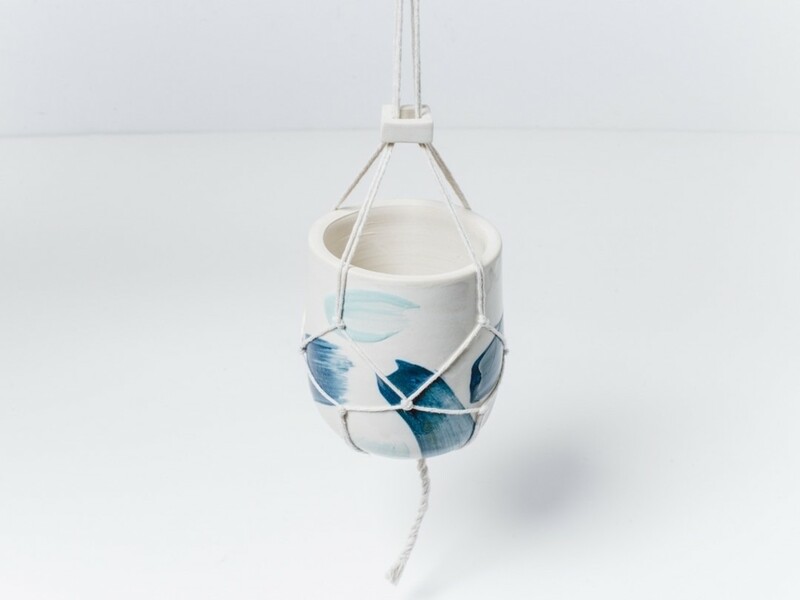 This hand-painted hanging planter is the stuff of dreams—it’s not too retro, safely out of reach, and has a cool knitted base in lieu of hooks. All of the Chanel-esque paint stroke planters caught my eye, but with lofted ceilings and angsty cat, I'll be starting myself off with this puppy. While I've had a longtime interest in gardening—that is, a few brief stints with herb gardens and potted flowers—my ability is, admittedly, a little rudimentary. 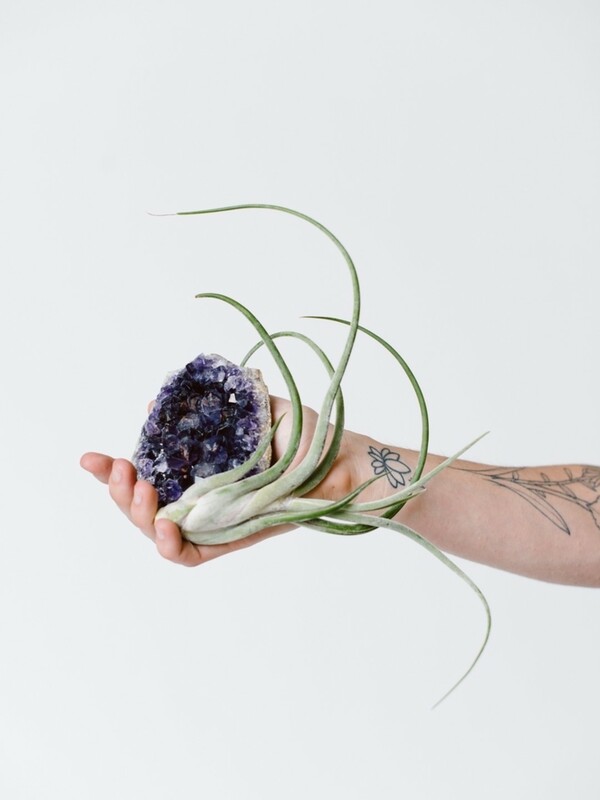 When a friend recently returned from a trip to Santiago, he brought me a gorgeous tillandsia, or air plant, named thusly for its ability to grow outside of soil. They require minimal care (just place near a window and mist it once a week) and adapt easily to indoor and outdoor conditions. And can you imagine a better pot than a chunky slab of amethyst? Going into my third year living in my 1920s Capitol Hill studio, I’ve decided it’s time to ditch the Ikea furniture and invest in more quality, one-of-a-kind pieces. Oh, and they also have to be cat-friendly*. 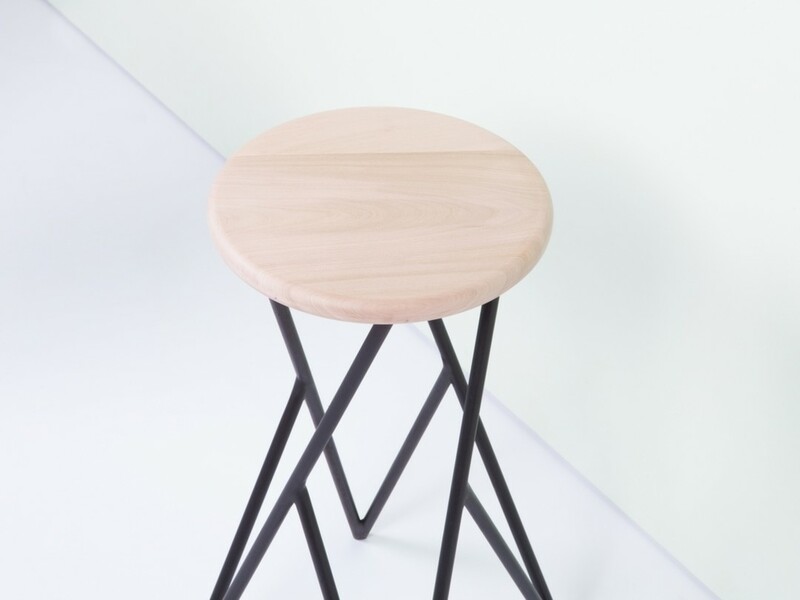 This wood stool with steel legs would make the perfect minimal bedside table. Or a really chic cat perch. As much as I relish in sunny park days and dips in the Puget Sound, I know fall will be upon us in the blink of an eye. The counterpart to my flowing summer-dress obsession? Scarves so oversized I can all but bury myself inside of them. 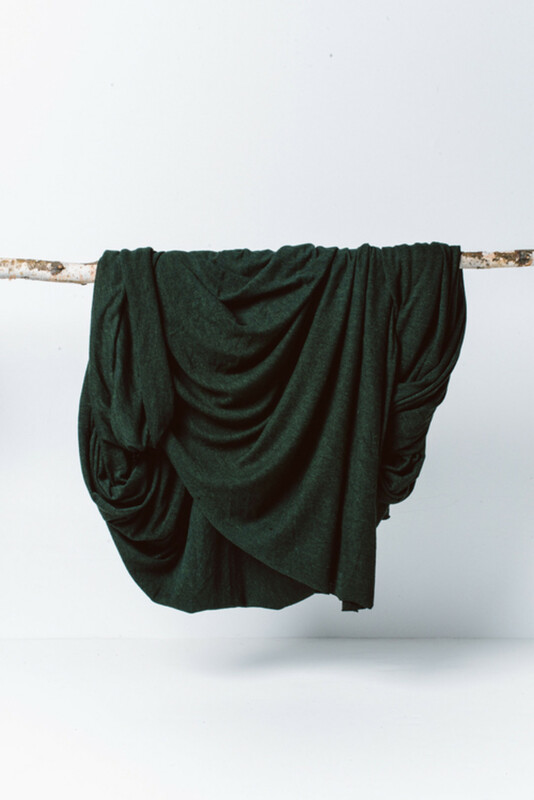 Exactly like this five-foot-long number from Blackbird in my favorite hunter hue. If you're looking for me come September, I'll be under there somewhere. All images via Nest | Gather.